Derrick Rose is one of the most explosive and talented players in the game today. Unfortunately, Derrick Rose's career has been cut short because of devastating injuries that affected his ability to perform over the past two seasons. First a torn ACL and then a torn meniscus on his right knee has limited Rose to playing in only five games in two seasons. 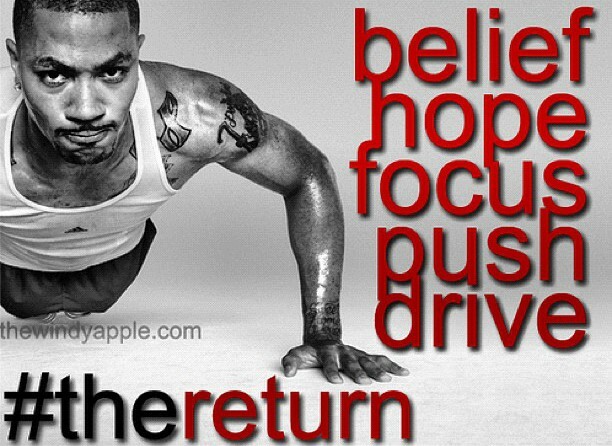 Now that Derrick Rose is completely healthy and healed, he has worked hard to prepare himself to be ready and stronger than ever for the upcoming NBA season. Many critics have questioned of how much of the old Derrick Rose is still in him. Other questions such as: “Is he better than before?”, “Can he still compete at a high level in the NBA?”, and several others have played on the minds of many fans. Much of these questions have not only been answered by his personal and trusted doctor, but also by his current performance in the FIBA USA team. Not only did Derrick Rose make the USA roster, which is a tall task, but he is arguably the best player on the team. In the last several games the USA team has participated Rose’s skills have looked faster, better, honed and more acute than ever. Not only are great expectations being placed on Rose to perform at a high level when the NBA season starts, but also high hopes are placed on the Chicago Bulls to be one of the best teams in the NBA.